When fans take action and engage with your Page’s updates, they increase the likelihood of future posts showing up in those fans’ news feeds. These actions also solidify loyalty with those fans. 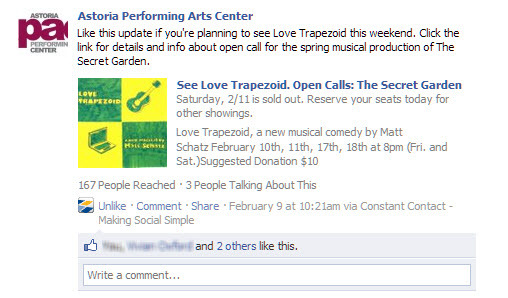 And of course, these actions make it easier for you to reach that person’s Facebook network. And even the smallest actions, such as liking a status, commenting, or clicking a link increase the likelihood of the same people taking bigger actions, like sharing or taking you up on an offer down the line. How do you get people to take those actions? It’s simple, really. Just ask — clearly and specifically. This way you’ll have a better idea of what type of content will engage them and lead them to taking action. Want someone to click a link? 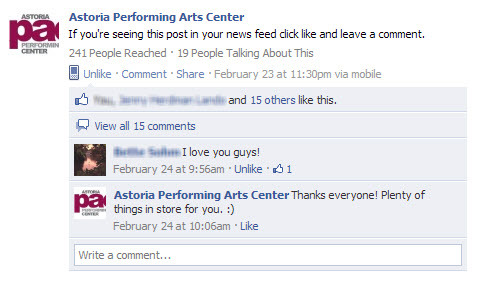 Ask your fans to “Click this link …” The most important thing here is to give a reason for your fans to click. Think along the lines of “Check out this blog post because …” and then tell them the benefits of reading the post. It is that simple. And believe it or not, that’s actually hard because we tend to complicate things more than we need to. Remember: Clear and specific works best. 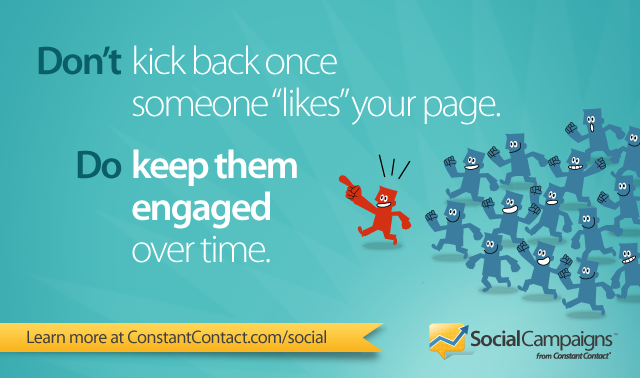 So don’t just sit back once someone “Likes” your Page. Be prepared to create content that asks for your fans to engage by taking specific actions. What ways have you been able to get people to take action on your posts? Tell us in the comments below.